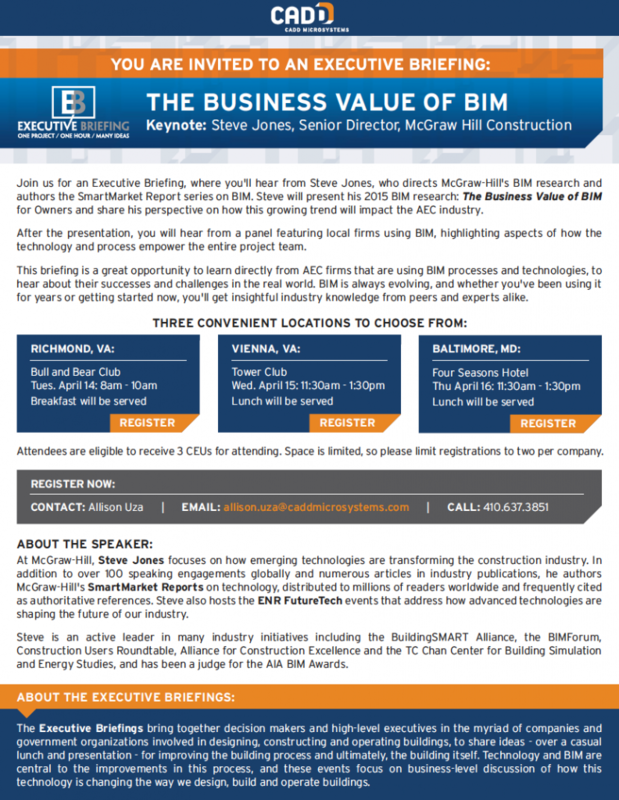 Join us for an Executive Briefing, where you’ll hear from Steve Jones, who directs McGraw-Hill’s BIM research and authors the SmartMarket Report series on BIM. 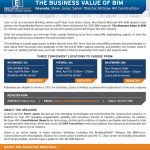 Steve will present his 2015 BIM research: The Business Value of BIM for Owners and share his perspective on how this growing trend will impact the AEC industry. After the presentation, you will hear from a panel featuring local firms using BIM, highlighting aspects of how the technology and process empower the entire project team. 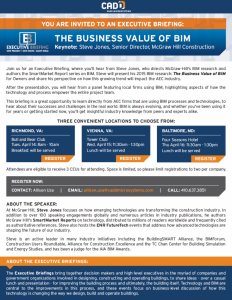 This briefing is a great opportunity to learn directly from AEC firms that are using BIM processes and technologies, to hear about their successes and challenges in the real world. BIM is always evolving, and whether you’ve been using it for years or getting started now, you’ll get insightful industry knowledge from peers and experts alike.